THE CHEF: My name is Stefani Brancato, and I have been cooking and creating recipes since I was a young child. One of my "creations" is my Bronco Blue Cheese Dressing. I have been making this dressing since I was ten years old. Since I was young, everyone has told me that I should sell this dressing. So now, with the help of the internet, I am. This is my secret recipe, and the only recipe I won't share with you. ORIGIN OF THE NAME: When my Dad, Marion Brancato, was in the Navy during World War II, they called him "Bronco". My favorite rodeo event is saddle bronc riding, and my daughter rides horses. So hence the name, "Bronco Blue". ​THE PRODUCT: I use the finest, all-natural ingredients, and when available, I use Maytag Blue Cheese from Newton, Iowa. 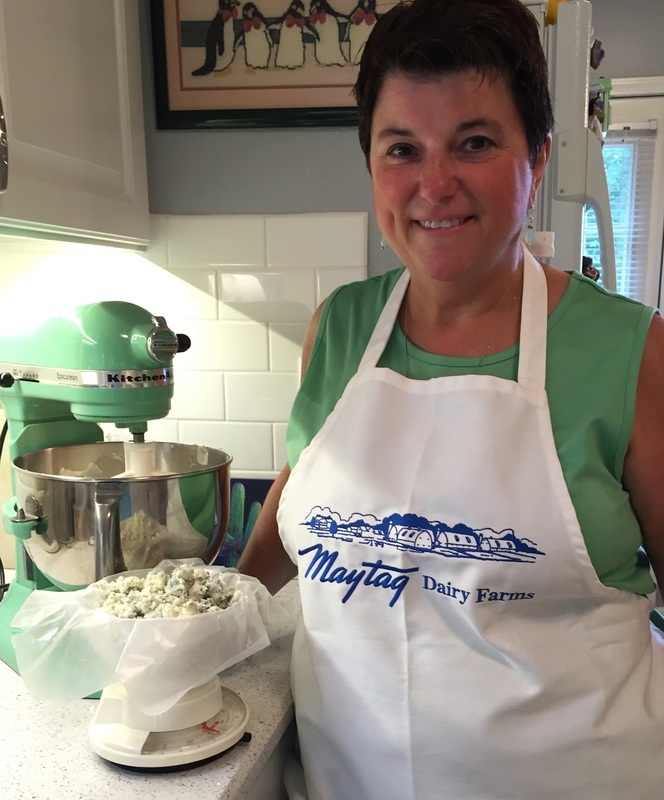 I have personally visited the Maytag Dairy Farms, and have seen the unique way blue cheese is made. I truly believe that blue cheese and my dressing are a match made in heaven. I hope you will enjoy my product on your salad, with veggies as a dip, as a sauce for your buffalo wings, or however you can imagine its use.